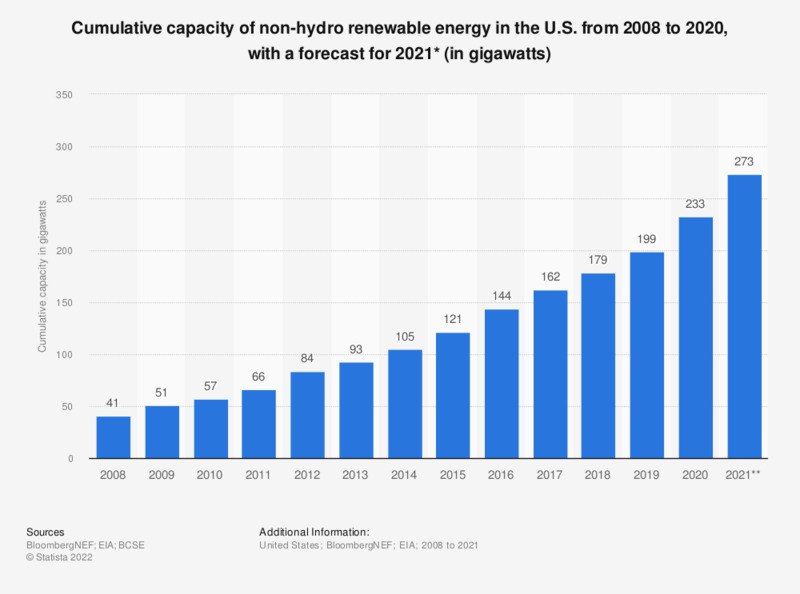 This statistic represents the cumulative non-hydropower renewable energy capacity in the United States from 2008 to 2018. In 2018, the United States had an estimated total of 181 gigawatts of renewable energy capacity. In 2014, the power-generating capacity of non-hydropower renewables was larger than hydropower capacity for the first time. ** Values are projected, accounting for seasonality and is based on the latest monthly values through October 2018. Figures compiled from several editions of the report and based on cumulative renewable capacity minus hydro capacity.